There are actually many restaurants in Branson that are kids’ favorites that offer a range of choices with a long list of desserts and other sweet treats. Whether you’re craving for a specific food on the list of menus or on the buffet table, you are sure to have a lot of choices among the list of kid-friendly menu in a restaurant you like to dine in with the kids. Listed below are the top 3 kids’ favorite restaurants in Branson where you can have a satisfying dining experience in this most visited vacation destination in the Midwest. Dino’s 24 Karrot Cake Company is one of the kids’ favorite restaurants in Branson where guests can have easy access to the patio to relax or stay inside the cosmopolitan-style cafe while enjoying the best cake in the Ozarks. Their delicious desserts are prepared with the highest quality ingredients that will truly satisfy the taste bud of every kid. While the carrot cake is Dino’s specialty, you’ll get to enjoy more equally delectable choices. Dino’s cake is one of the kids’ favorites that is rich and multi-layered chocolate fudge cake. The red velvet is also a favorite among many loyal customers while cheesecake lovers can’t get enough of Dino’s newest creation: 24Karrot cream cheese cake. 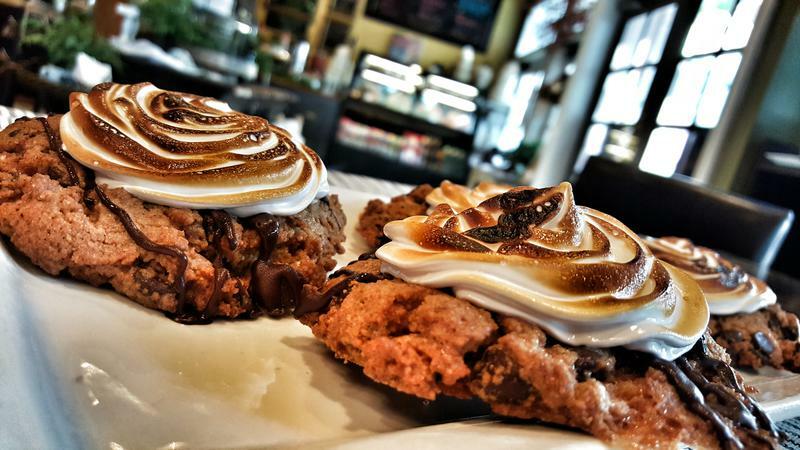 Sugar Leaf Bakery & Cafe is another restaurant in Branson that’s become a favorite dining spot for kids as it offers the best cookie in town. The cafe owners Todd and Lori Jansen who come from Atkinson, Nebraska, moved to Branson in 1996 and opened a business that is unique to Branson. The couple then made their first cookie in 2004. When the demand of their cookie was beginning to grow, they knew they needed more space. They soon opened their first store in the Engler Block and hired their first employees but they still have to do the majority of the work within the family. After several years, rumors spread about their delicious treats and their business began to grow. Soon their customers have fallen in love with the family atmosphere and many become very satisfied with their flavorful recipes. Andy’s Frozen Custard is also a kids’ favorite restaurant in Branson where many of the visiting families to this top vacation destination want to spend a great time with the kids. This dining spot has always been fanatical about custard, and has served it with pride since 1986. For over three decades, this kid-friendly restaurant uses only the freshest ingredients to give every guest a frozen custard experience that can’t be enjoyed anywhere else in Branson. The custard tradition of Andy’s started in Osage Beach, Missouri when John and Carol Kuntz embarked on a new frozen custard endeavor. Their product quickly became known in the area, and soon took nearby Springfield, Missouri by storm and then to Branson. So, if you want to spend a wonderful vacation in this top vacation spot in the Midwest, be sure to check out on these kids’ favorite restaurants in Branson.